With over 30 shows produced, the T2 Tech Talk Podcast is grabbing some market share on the interwebs. True blue listeners (all 34 of them, lol) tune in to hear Tom Craig with Advanced Systems Solutions and Tom Jelneck with On Target break down tech in an easy to digest fashion. The Tom’s realize that tech isn’t always fun, so they truly strive to make each podcast not only fun-filled but jam-packed with tech and digital marketing knowledge. On this particular episode, Tom invites Tom to be a guest on his show and break down how digital marketing REALLY works and leaves business owners and marketers with a wealth of applicable knowledge on SEO, Social Media, Content Creation and the inner workings of the in-laws minds. 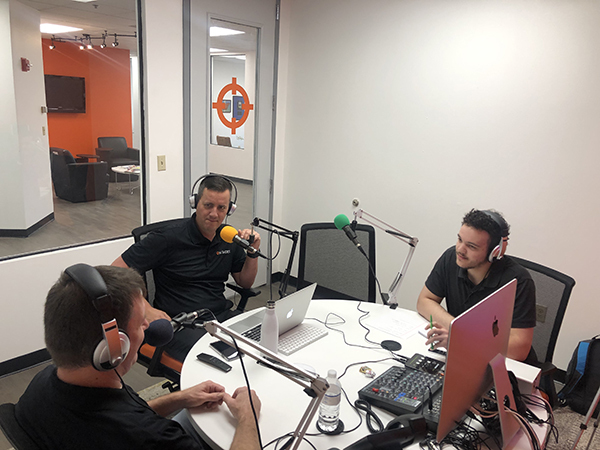 Podcasting is obviously becoming a huge part of the On Target Digital Marketing arsenal and we’re so pleased and proud to produce the T2 Tech Talk Podcast. We’d love it if you’d tune in and subscribe on iTunes, Google Play, Stitcher or wherever you consume audio content, and remember, the On Target Podcasting Studios can plan, strategize, create, record, edit and promote your podcast to get your brand voice heard. Oh, by the way, as mentioned on the show, On Target is pleased as punch to announce our latest service, On Target Stream. Stream was built for busy marketers and business owners who struggle to create their own content to build their online presence. Learn more about Stream here and drop us a line if you have any questions. Call 407-830-4550 to speak with a content advisor.